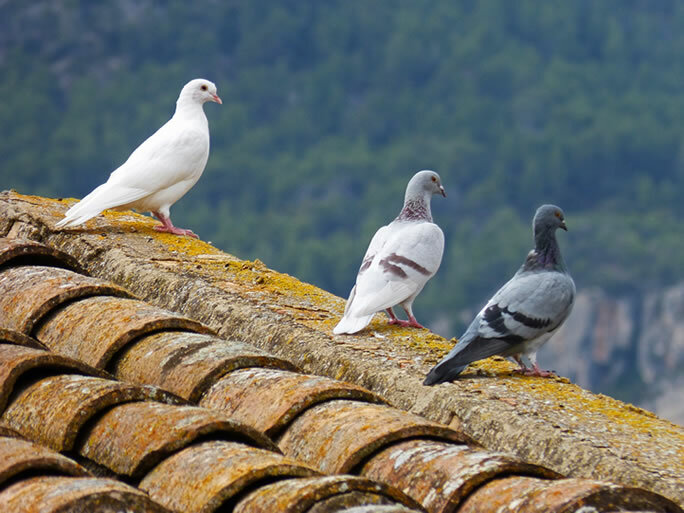 Australian Pest Specialists has a specialised Bird Control division to provide innovative solutions to your unwanted guests. With over 20 years experience in providing nationwide bird control solutions in a commercial, retail and industrial environments, you know that you’re dealing with one of Australia’s most reputable and trusted brands when it comes to solving your bird problems. Bird nets prevents pest birds access to any architectural configuration including courtyards, rooftops, awnings, parking garages, and warehouses. Bird Spikes are an excellent low profile bird deterrent system for use on ledges and signage and prevents birds from landing and nesting. Post & wire bird deterrent is a very cost effective bird control system against pigeons and seagulls. It’s an extremely versatile bird control product and can be adapted to protect any building, opening, or architectural configuration against pest birds. APS offers bird trapping services that meet all Parks & Wildlife and RSPCA requirements and regulations. Depending on the situation, environment and targeted bird species we determine the size of traps to be installed and the appropriate trapping program required. The solution to your issues is one phonecall away. If you would like to find out more information, please contact is on 1300 42 42 66.